Bas Relief, LLC is committed to supporting classrooms, organizations and individuals exploring the natural world. 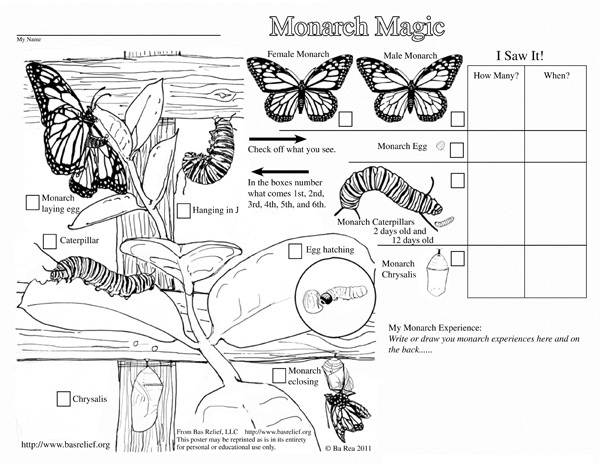 This Page provides links to PDF files that may be useful for anyone using Bas Relief, LLC product or using monarch butterflies in the classroom or at home. Scroll down to find free PDF file Parent Teacher guides, posters and coloring pages. 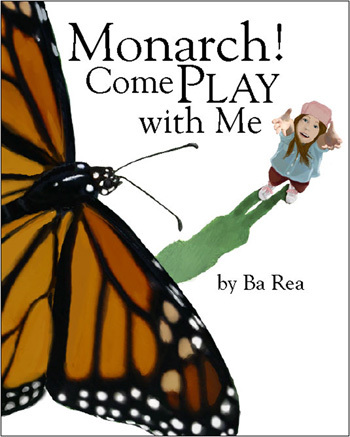 A Parent Teacher Guide to Monarch Come Play with Me. There are two versions of this coloring page. They are free to use. 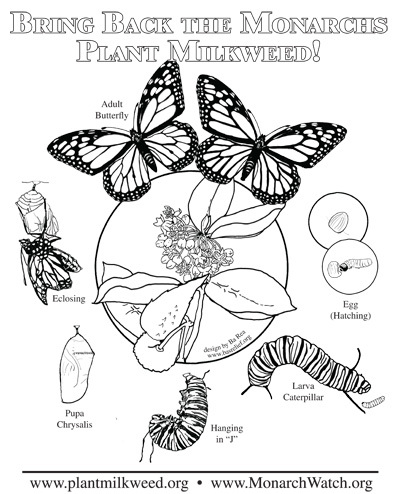 Hoping to make folks more aware of Monarchs, Milkweed and the World We Depend On. 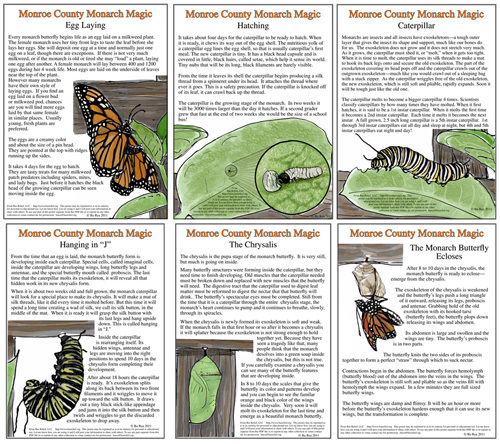 For folks from Monroe County WV (and anyone else who wants to play along) visit Monroe County Monarch Magic, a progam to learn about monarchs, share our experiences and celebrate the fall monarch migration. 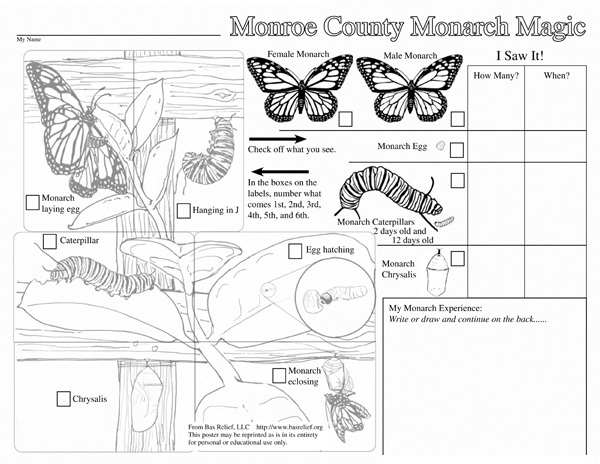 For those outside of Monroe County Check out the Coloring Page and Card in Color below without Monroe County in the name or if you live in the desert, check out Desert Monarch Magic below that. Enjoy learning about monarchs in your own area! 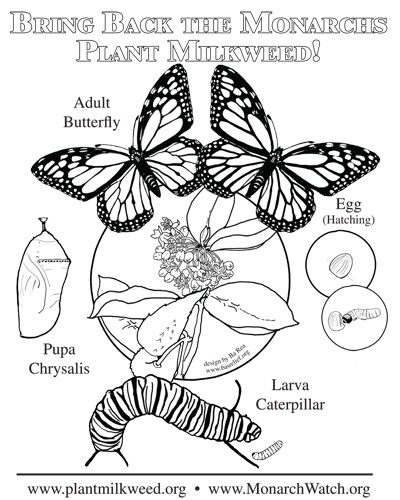 Different species of milkweed (Asclepias) grow in different habitats. There are milkweeds that grow in wet places, milkweeds that thrive in open fields, disturbed areas or woodlands, and milkweeds that grow in the desert. The milkweed in the cards above is Common Milkweed (A. syriaca) that is found all over the east coast and into the midwest. Working with Gail Morris in Arizona, I have developed a version of Monarch Magic with monarchs on desert milkweed (A. subulata) for folks living in desert areas. 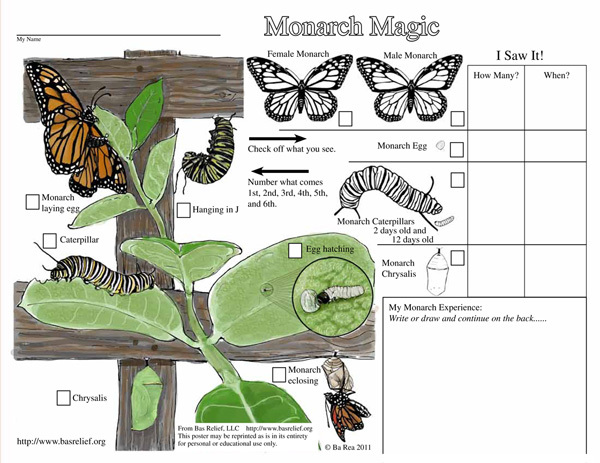 You can download these cards to use at home or in your classroom or monarch program. Enjoy learning about monarchs in your own area! 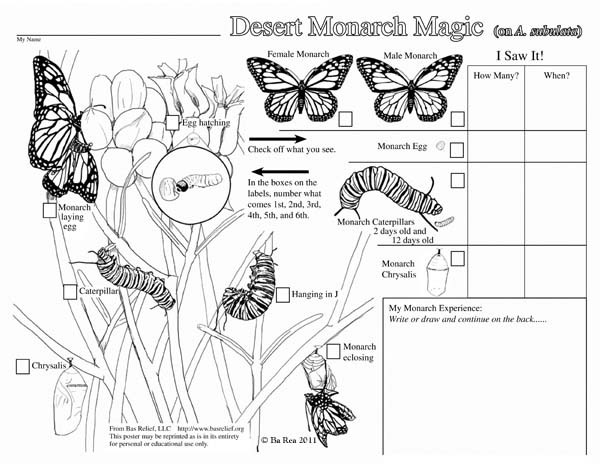 Download Desert Monarch Magic coloring page. 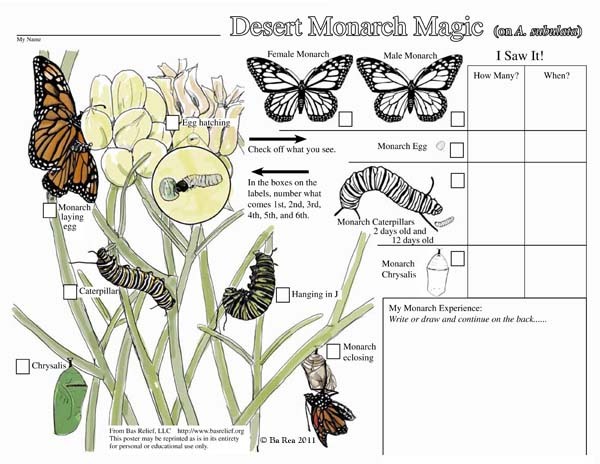 Download Desert Monarch Magic in color.